At the bottom of an ancient lake in southwest Wyoming thousands of fish, plant leaves, and other animals were preserved with amazing detail. 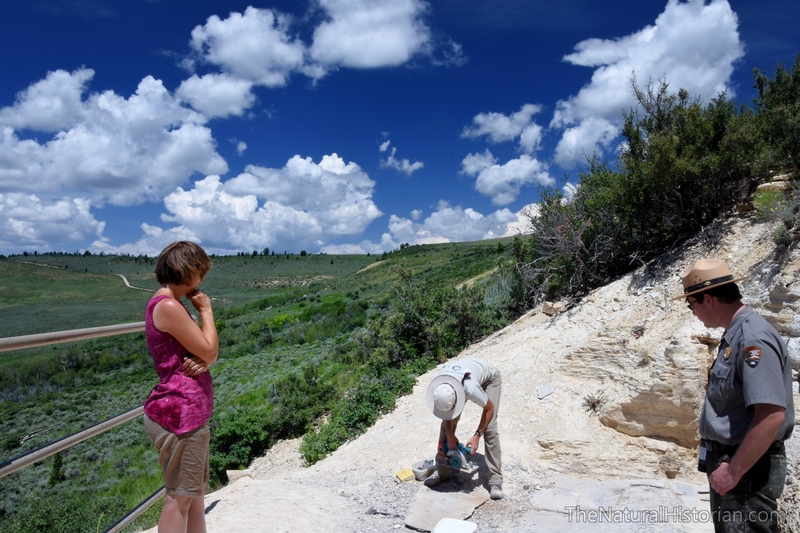 These fossils represent very different organisms than those found in other parts of Wyoming such as the fossil sites that we found this summer north-central Wyoming (Hiking through the Jurassic Period in Wyoming – A Sheep Mountain Fossil Hunt and Walking in the Footsteps of Giants: The Red-Gulch Dinosaur Tracksite in Wyoming). 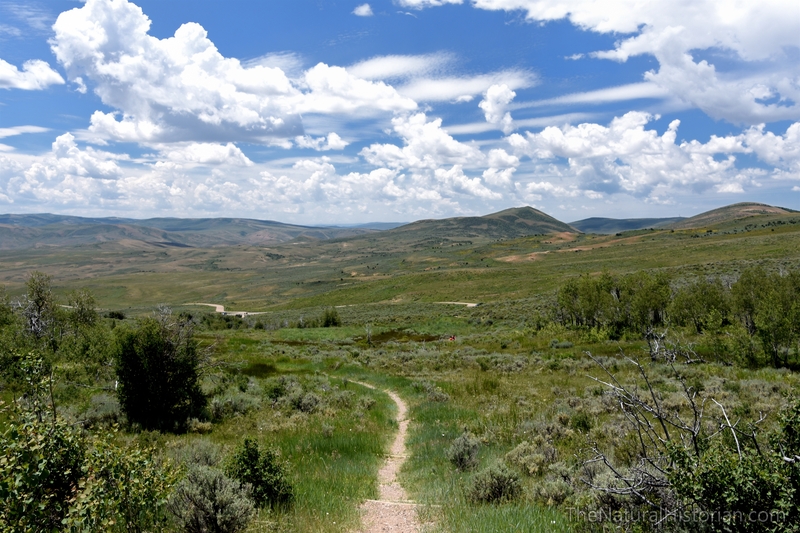 This preserved ancient lake bottom can be viewed at Fossil Butte National Monument. 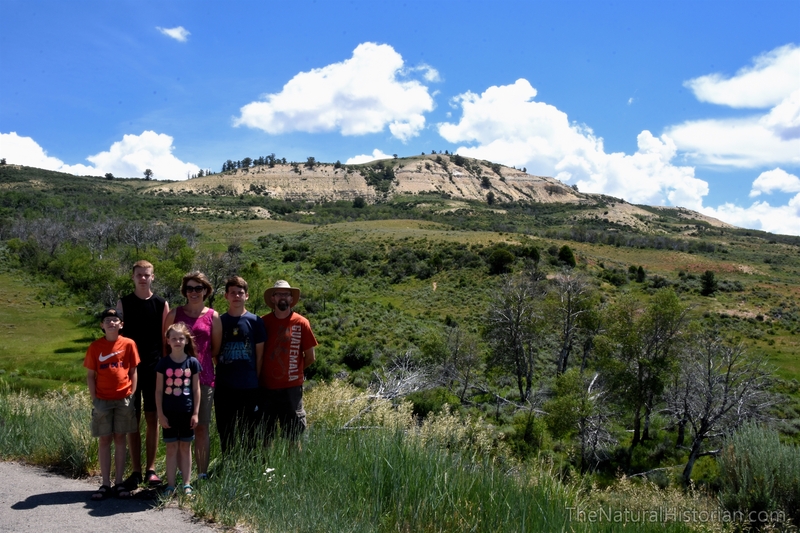 After leaving Yellowstone and Grand Teton I had intended to drive to Vernal, Utah to visit Dinosaur National Monument. Along the way I thought we would make a quick stop at Fossil Butte and just go to the visitors center but we ended up being staying there a couple of hours including a beautiful hike. 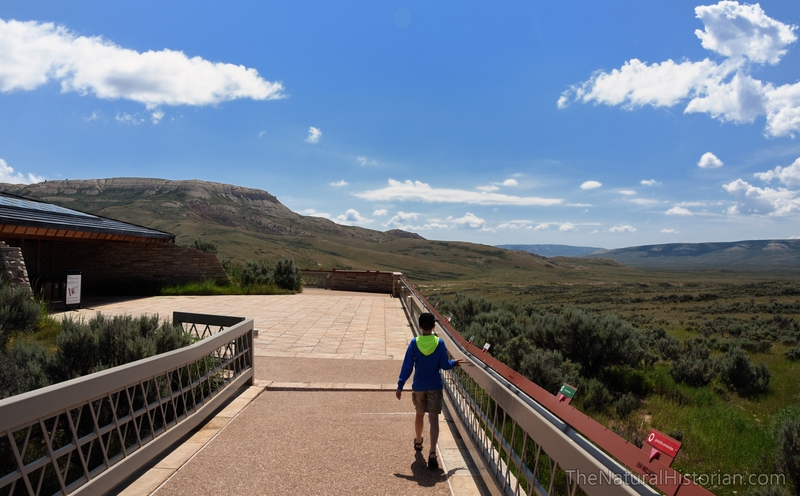 I had heard the visitors center at this rather remote and lesser known National Monument is very good and we were not disappointed. There were a couple really enthusiastic informative staff there and the fossil displays were fantastic. 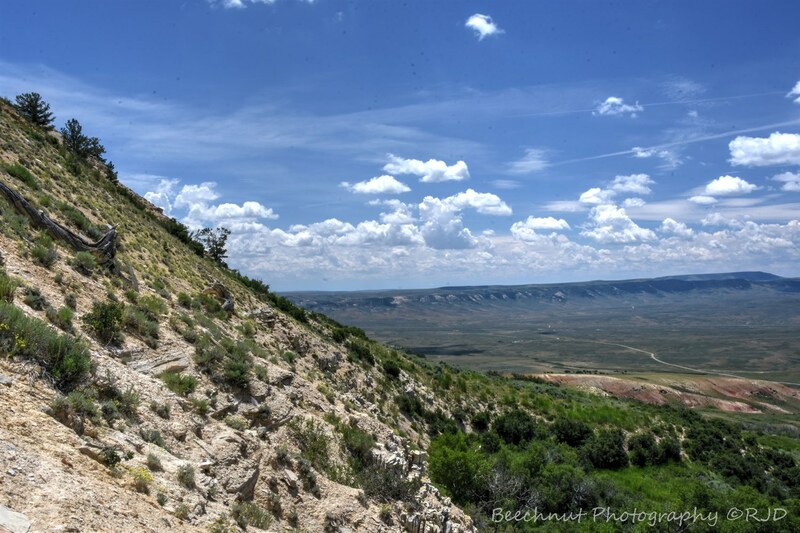 Below I take you on a little tour of the National Monument including the visitors center and our hike to an active fossil quarry where we saw fossils being removed from the side of the mountain. Here is the family, minus our eldest daughter, posing in front of one of the primary buttes. The layers of rock here contain billions of fossil fish and many other organisms. Approaching the visitors center. The vistas here are really very sweeping. It was a beautiful July 1st day in the low 70s. The map above shows the location of several lake that existed about 50 million years ago. 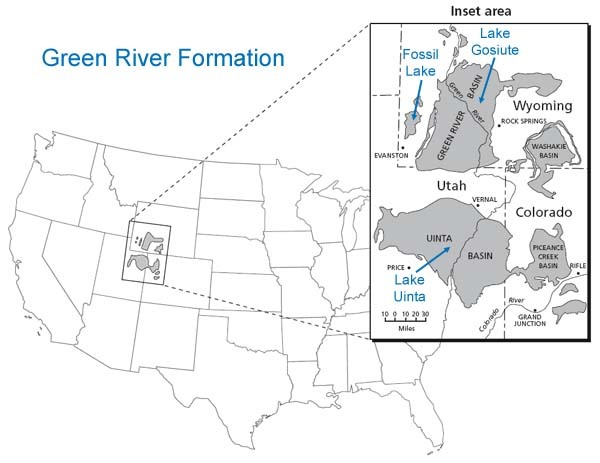 The sediments that where slowly deposited in these lakes make up what is called the Green River Formation. There are fossils found in these sediments of all these lakes but the small Fossil Lake in what is now southwest Wyoming must have experienced conditions far better for fossil preservation because there are far more and better-preserved fossils there than anywhere else. 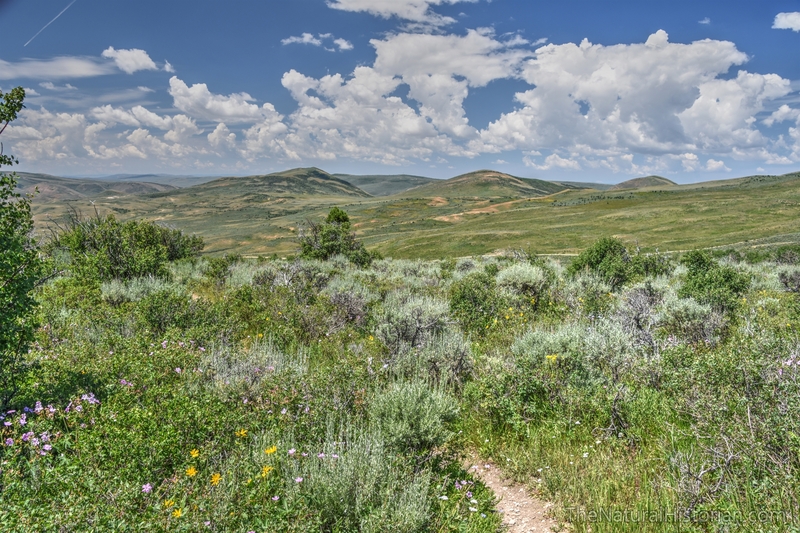 The fossils that are found here are organisms that lived in fresh water lakes and vegetation and remains of other animals that lived at the edges of the lake. These include many sub-tropical plants and animals such as palm leaves and crocodiles suggesting that the climate was far warmer at that time compared to today. 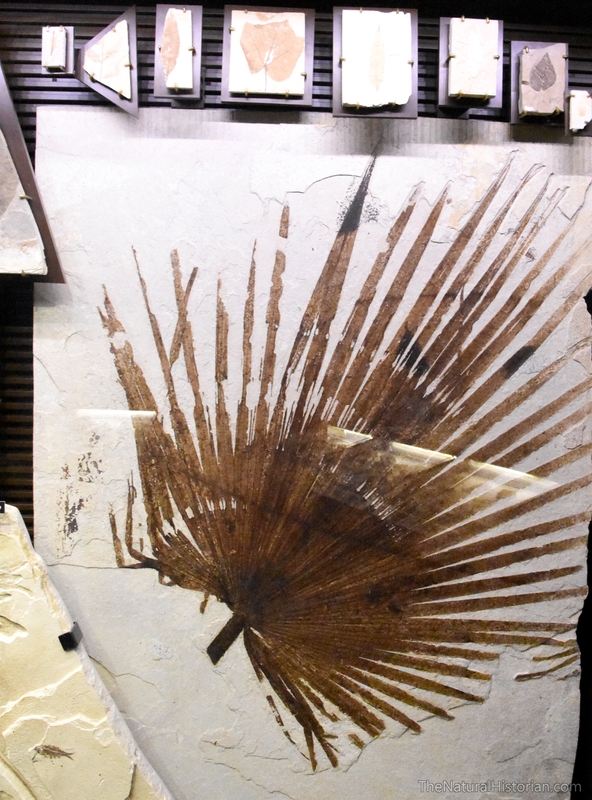 A sampling of some plant fossils collected from the Fossil Butte which is part of the Green River Formation. 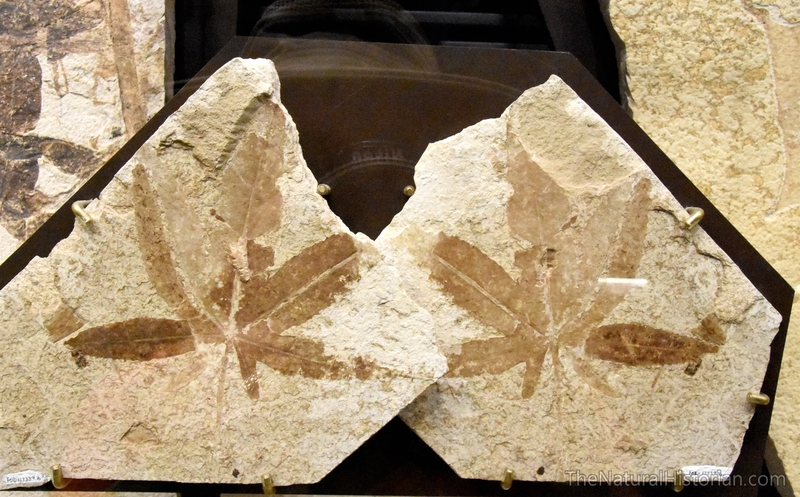 The preservation of these plant fossils is really amazing. 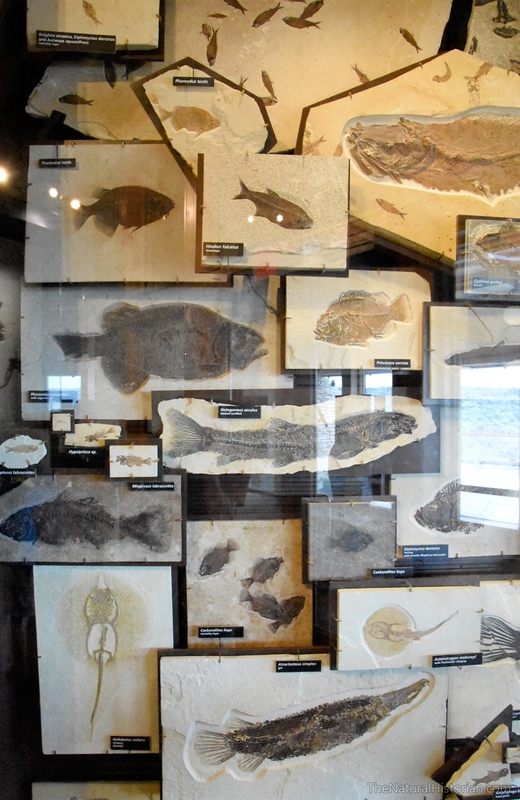 A collection of fossil fish which are the most abundant fossils in these rock layers. There is also a stingray on the bottom left. 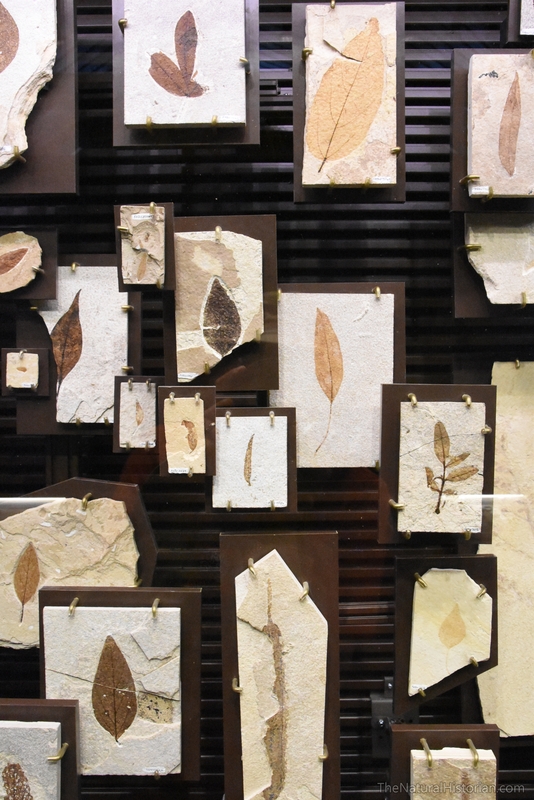 A close-up of some of the fossil leaves on display. The details on many leaves found in this rock formation are so good that even the types of damage caused by insects can be identified. 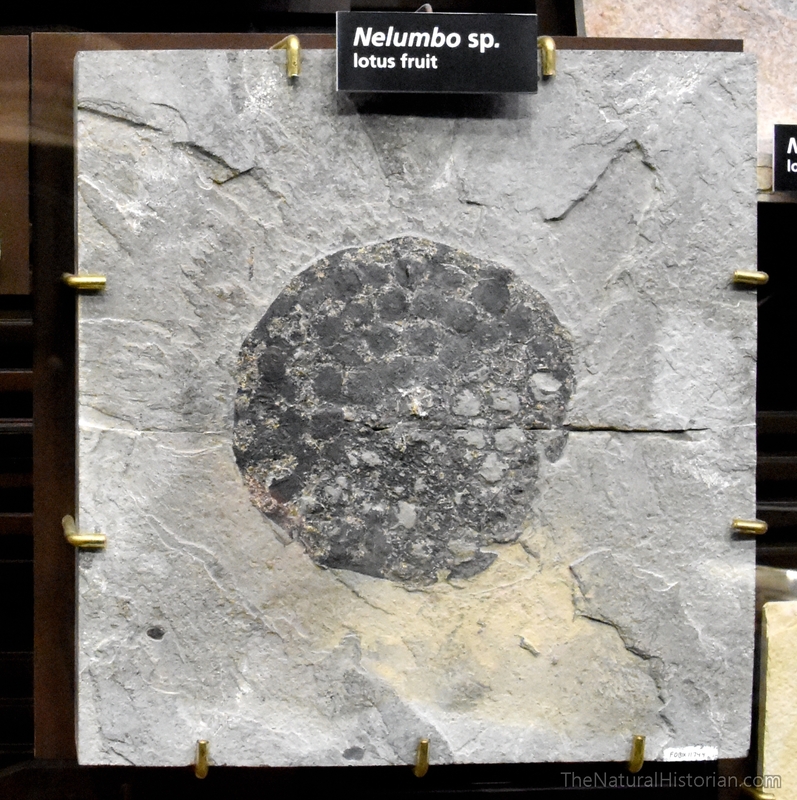 Above is a water lily fruit that has been preserved. Above is a huge palm leaf attesting to the much warmer climate that was present around this lake existed. 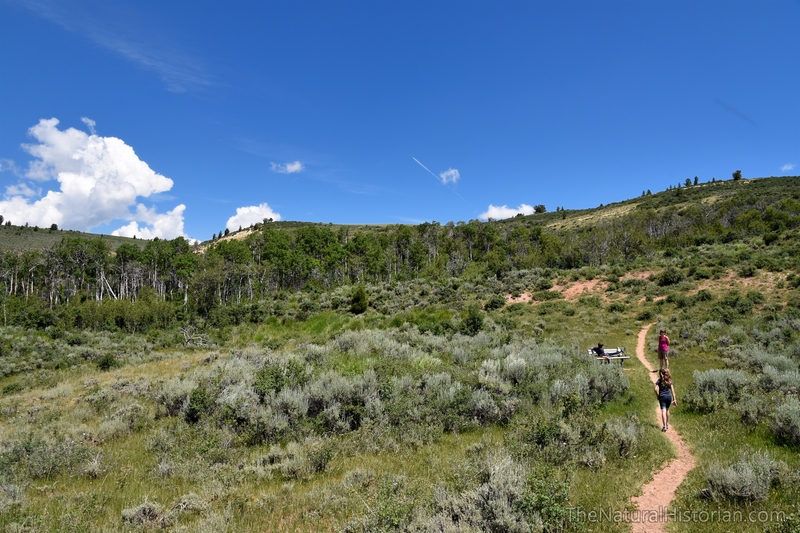 After leaving the visitors center we made our way up into the park and stopped where there was a hike a bit over a mile that led to an active fossil quarry. It was a fantastic day for doing some hiking so we headed on up the side of the mountain. Here we are at about 7000 feet in elevation. On the side of the mountain was a small fossil quarry. Here are two National Park Service interns working the quarry. They have been pulling up thin layers of rock and when they find fish they cut them out of the rock with a skill saw. To this point they had collected over 5000 fish from the area you see in this picture. I took this shot while standing in the small quarry. You are looking along a ridge that is the Green River Formation. 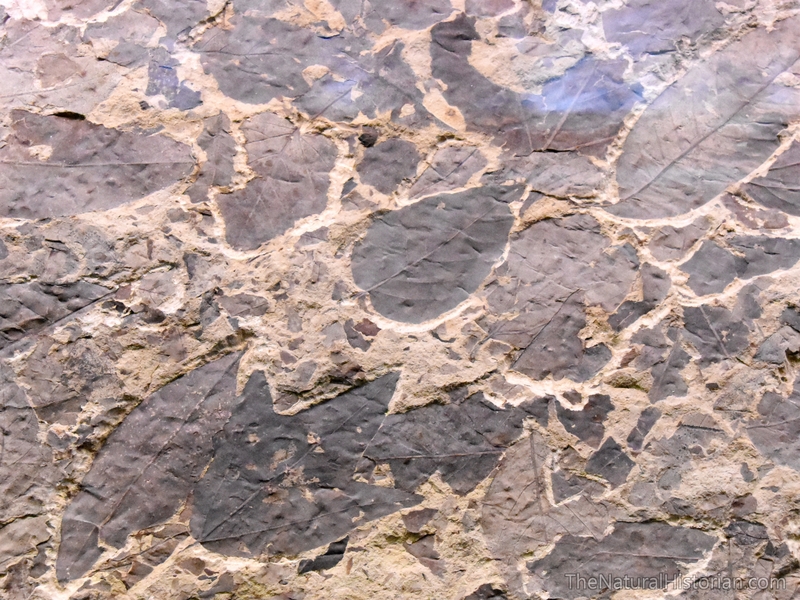 These thin varve layers hold billions of fossils. It’s hard to visualize that these layers of rock were formed at the bottom of a large lake. To the right the rock has all been eroded by the Green River system over millions of years leaving several ridges and buttes that contain the remnants of the former lake bottom. The famed 18-inch layer with dense fossils is toward the upper left hand portion of this picture. Looking out over the rolling landscape on our hike down from the fossil quarry. This was really an awesome place to hike because we could see so far and there were so many flowers in bloom at the time we visited. We walked through a small grove of aspens. 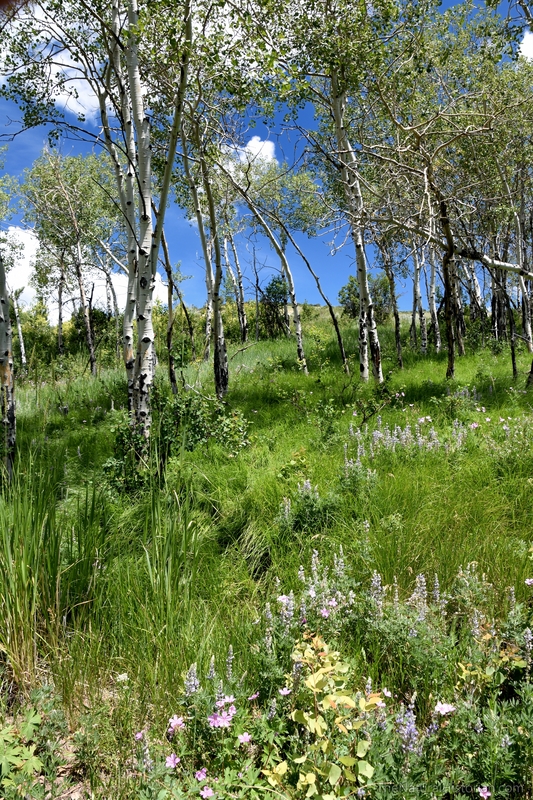 This is just a small sampling of the abundant vegetation that grows there. Another scene with rolling green hills and flowers everywhere. Knightia is the most common fossil fish from the Green River formation in Utah. A few years ago I bought a fossil fish from the Green River Formation. This one sits in my office. The bones are clear but but what is notable about many of the Green River fish is the preservation of the skin and other tissues. The fossil looks like it is still oily.